On the first night of their revamped primetime lineup, Fox News dominated the ratings and dashed the hopes of CNN and MSNBC that the departure of Bill O’Reilly would provide them their biggest opportunity in years to catch up to the longtime ratings king. Fox handily won every hour in primetime in both total viewers and the all-important 25-54 demo, led by Tucker Carlson Tonight in its third different time-slot since debuting last November with nearly 3.2 million total viewers and 636,124 in the demo. That easily beat MSNBC’s All in with Chris Hayes (1.5 million total viewers, 369,942 demo) and CNN’s Anderson Cooper 360 (1 million total viewers, 351,646 demo). The Five followed up at 9 p.m. with almost 2.8 million total viewers and 568,064 in the demo, beating The Rachel Maddow Show (2.1 million total viewers, 523,640 demo) and The Lead with Jake Tapper (881,724 total viewers, 304,840 demo). If The Five can keep it up that would be good news for Fox, as Maddow was making inroads against Carlson in the demo, beating him on 12 of 20 nights in the April ratings period. Hannity continued his dominance in the 10 p.m. hour, easily beating Lawrence O’Donnell and a CNN Town Hall with John Kasich. 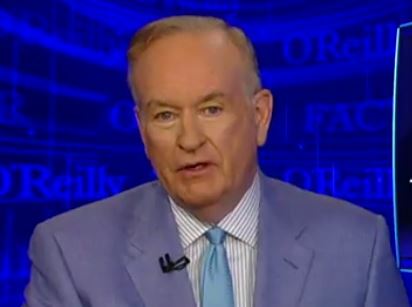 It’s only one night, but it was important that the new lineup got off to a strong start after the tumultuous end to O’Reilly’s career at Fox News, and to stifle critics who are convinced that the network is now primed to fail. Time will tell if the Murdoch brothers made the right move.